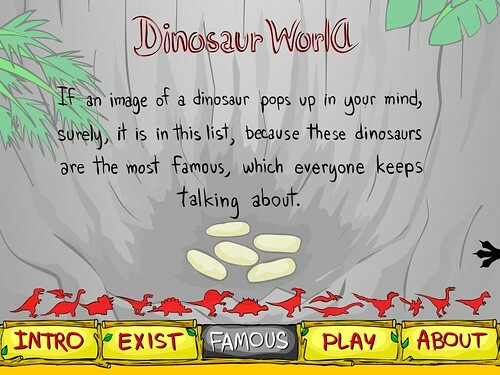 This section will tell basic informations about each dinosaur, which are period, diet, size and special weapons. Each page is for each of these dinosaurs, and each page will have 1 – 2 Movie Clips, that if the user roll mouse over, the Movie Clip will be played. *entrance of this page does not have description for each button as other pages, but when the user lays mouse on each button, he/she will see the name od each dinosaur.